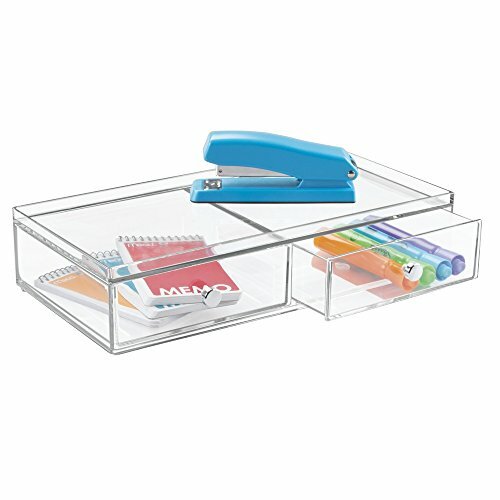 The mDesign Office Supplies Desk Organizer with Drawers stores and organizes paper clips, push-pins, pens, markers, highlighters, sticky notes, tape, a stapler and more. Includes a stackable top and chrome finish handles. 12.75" x 7" x 3"